Dealing with Nicotine withdrawal - a powerful and scary reality. It's Real - It's Powerful and at Times it Can Hurt! Nicotine withdrawal is the group of symptoms you get when the levels of nicotine in your blood stream that your body is used to suddenly drop. You just infuriated the "Nicotine Monster." Everyone experiences nicotine withdrawal in different ways. This is because we all have different personalities and different tolerance levels. For some people the pain of withdrawal is so extreme they have been found curled up in a ball crying! Many have suffered anxiety attacks. I remember when I was at my worst just standing at the kitchen sink with tears rolling down my face because the only thing I wanted in life was a cigarette and I couldn't have one. Non-smokers will never be able to understand that kind of pain unless they have experienced some other kind of withdrawal from a drug. 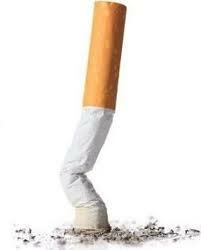 You can try using patches or an electronic cigarette but eventually you will still have to face coming off nicotine. People who have tried drugs such as Zyban or Champix have said that their nicotine withdrawal symptoms were quite mild. When you first make the decision to quit and start looking at all the "how to stop smoking" tips and techniques, you must first accept that it is hard, really hard, don't let anyone tell you that it isn't. Preparation is the key - readying yourself and preparing close family members for your mood swings and anti-social behaviour - speaking from experience! But you must also focus on how fantastic it will be when you make it! Absolute freedom! I did not realise just how much I thought constantly about whether I had enough cigarettes to last me the day, if I had a spare lighter in case I lost one, would I be able to smoke at my destination - all these things filled my head every day! Now - total freedom - just grab the car keys, the phone and off I go! The best way to stop smoking in my opinion is to plan ahead. Choose a date in the not too distant future and focus on that date. For example; when I decided to quit I did not say to myself " I am going to stop smoking now" - that would have been torture. Instead I thought about events approaching and how I would cope at parties or functions and because Christmas was only a couple of months away and all of my family of smokers would be there I decided to choose a date after Christmas. New Year would be too hard as the family would still be here so I decided on 6th January. I had also researched some effective methods for getting me through the really tough times. I found a wonderful massage therapist who didn't cost a fortune and decided that when I was suffering badly I would treat myself to a massage. Some people have back-up plans like hypnotherapy or meditation. One of my girlfriends started a yoga course to escape the tension of nicotine withdrawal. Once I had chosen the date which was about three months away I thought about the date with excitement and optimism not with a sense of dread. I talked openly to family and friends about giving up on that date. Some people laughed and others were supportive. The negative comments spurred me on in a determination to succeed. The most negative people were the smokers which made me wonder if all smokers secretly WANT to quit and can't and are therefore jealous of those of us who succeed. When my date arrived I made sure that I did not have any cigarettes around the house or anywhere else and I concentrated on staying positive. I succeeded this time but it was the hardest most painful process that I have ever gone through. I also put on a heap of weight which is another subject! (Click here to read about gaining weight). This time I did it "cold turkey" but all the other times I had tried I used natural therapies, nicotine replacement therapy, and even Zyban. This time it was up to me and I did it! There is a huge sense of achievement when you succeed but I won't lie to you - nicotine withdrawal hurts and it takes a while to stop craving a cigarette but I am not special and millions of people have been successful. Not long after I quit my father was diagnosed with emphysema and consequently was forced to quit smoking. He used Champix and was successful but he still has emphysema. Within 12 months of Dad being diagnosed all of the smokers in my family had quit and most of us did it cold turkey. If we can do it you can too. Return from "Nicotine Withdrawal" to "How to Quit Smoking"